I’ve been a fan of Penelope Lively’s novels for years; they’re rich with insight into human relationships and full of ambiguity and speculation about human behavior and motivation. She’s always interested in the effects of our actions; in fact, one of my favorite novels of hers is titled Consequences. 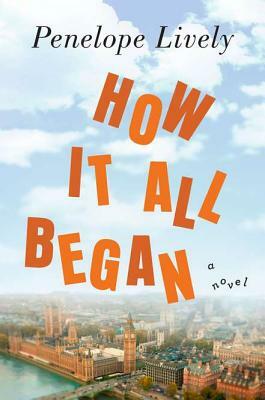 In the opening pages of How it All Began, Charlotte Rainsford is mugged on the street in London and thereby hangs a tale. The event ripples outward, changing the lives of several characters, each of whom steps off the page, fully formed: cranky, lovable, self-absorbed, decent, greedy, and maddening, they’re people we recognize. More important, we want to see what happens to them as they are caught up in Lively’s web of consequences. Passages like that are the reason I’ve always enjoyed Lively’s novels.